Sean had a late work date so the kiddos and I went to Applebees since three of them had Reader cards to cash in for free meals and I had a gift card. It cost us $10 for a tip and we had a great time. 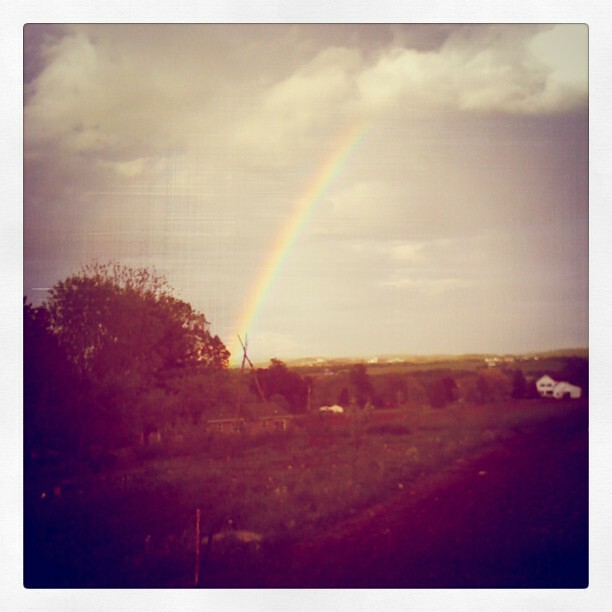 We've had lots of rain and a rainbow. 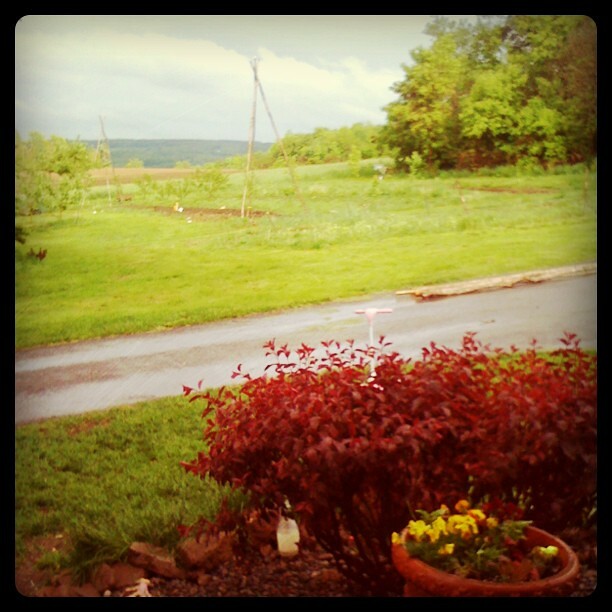 Don't you love the tepees Sean put up for our Telephone Peas and Pole beans? They are at least twelve foot high. 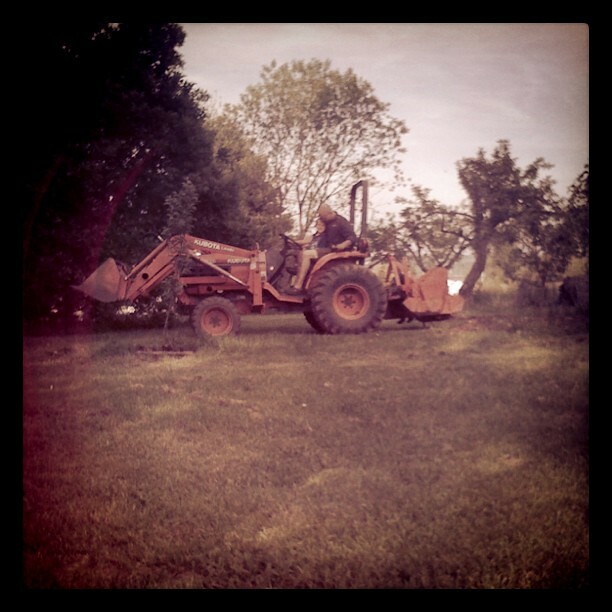 Newest addition to our little farmstead was a used tiller attachment for the Kubota. We've been adding in things little by little, paying with cash as we're able. 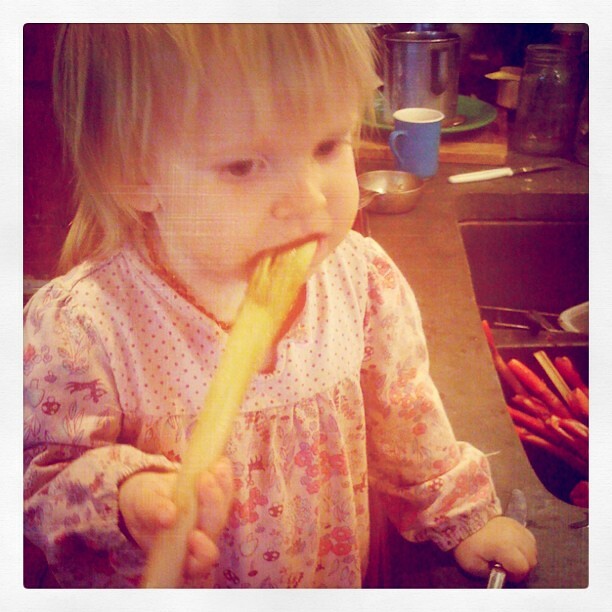 Addie decided she likes raw rhubarb. I love it stewed with strawberries and have been eating it by the bowl full this way. 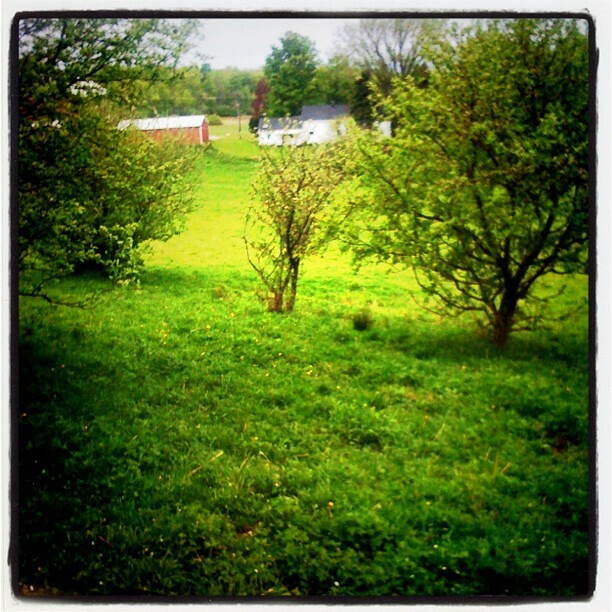 We looked at a really cute little farm, only to find out an offer had already been accepted on it. So we continue to look, in no hurry to buy and needing to sell either this place or our cabin first since "mortgage free is the way to be" is our current mantra. 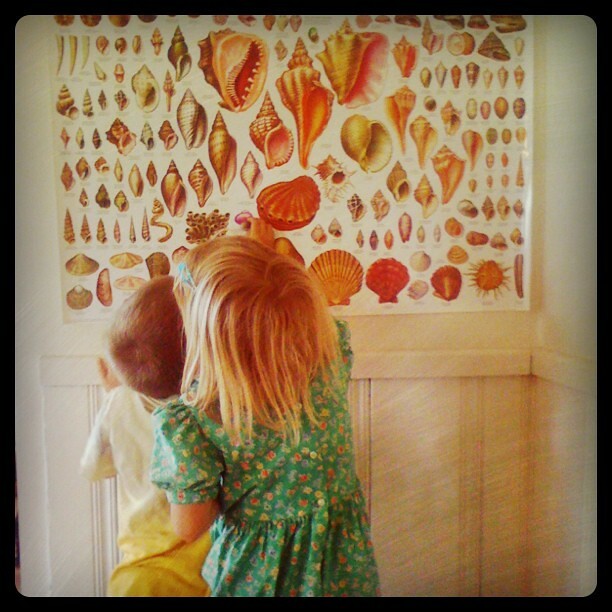 A fantastic poster from amazon (24x36) North American Shells Educational Science Chart Poster and mama's collection of seashells made for a beautiful spot one morning matching them up. Three birthdays in May. 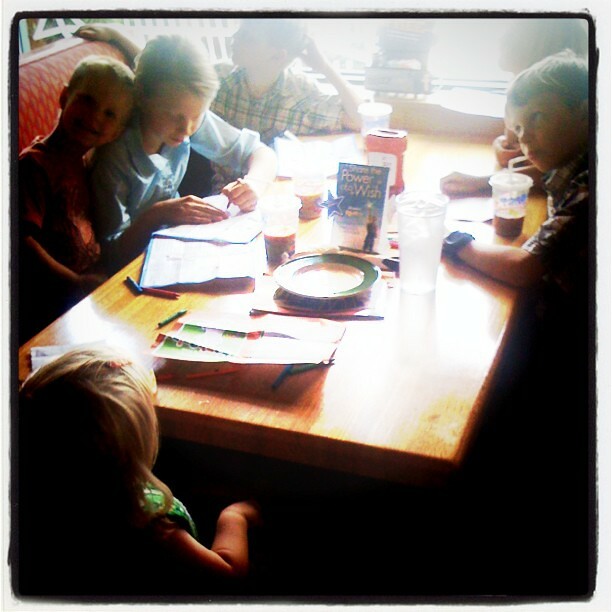 Ella turned six, Andrew turned ten, and Chase turned four. 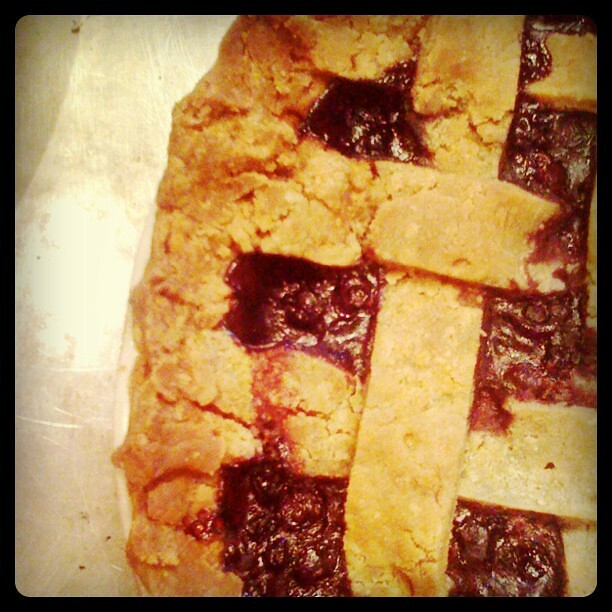 We celebrated with pies and friends and icecream and a fantastic day at the cabin fishing. 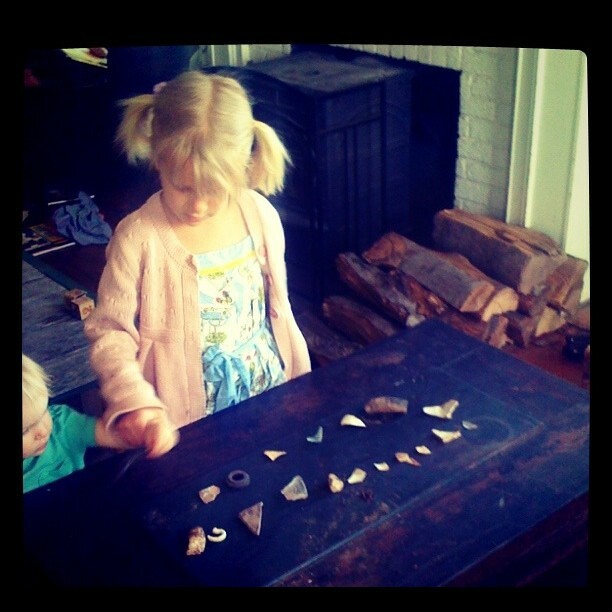 Ella the archeologist has been finding all sorts of treasures in the back yard; bits of pretty blue and white pottery, square nails, and old ceramic plumbing bits are her treasures. 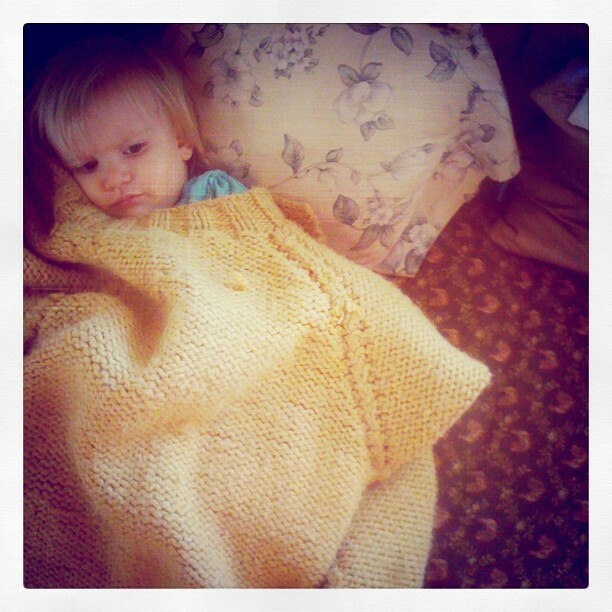 Finally, a cuddler one cool spring morning. Hope your weekend is a beautiful one! Thank you for sharing that poster link! It looks so summery and I would love to hang a copy in my kitchen for easy reference!